Hey! 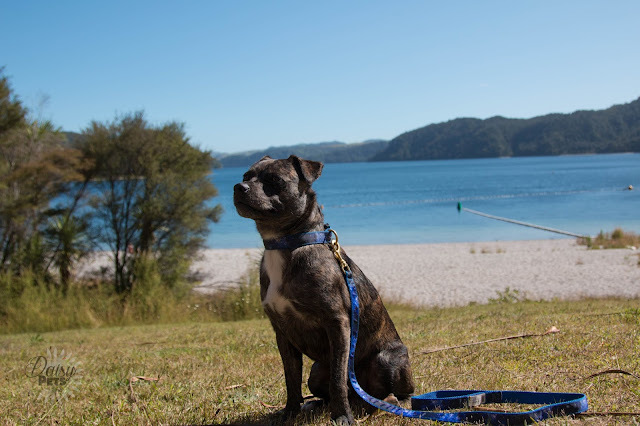 I recently started noticing Omega Plus Treats coming up on other New Zealand Instagram accounts and knowing how much Diego thrives on fish treats I was intrigued. I contacted them to see where I could purchase some in the North Island, and was lucky enough for them to send Diego and Chico a gift pack before Christmas. 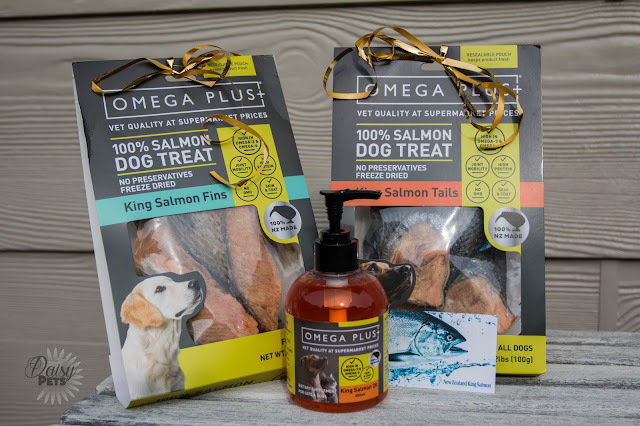 Omega Plus Pet Food is a New Zealand company that is a division of New Zealand King Salmon which has been sustainably farming the king salmon species in the Marlborough Sounds for over 20 years. Omega Plus offers food and treats for both cats and dogs using human grade fish cuts as the main or only ingredient. King Salmon species has the highest natural oil content of all salmon and contains a naturally rich source of healthy long chain omega 3-s. Also contains vitamins A, B12 and D, as well as high-quality protein, niacin and thiamine. Whenever any of my friends get a new pet, I am always the first there, usually with camera in tow to make sure I can get some sweet shots of the new being. 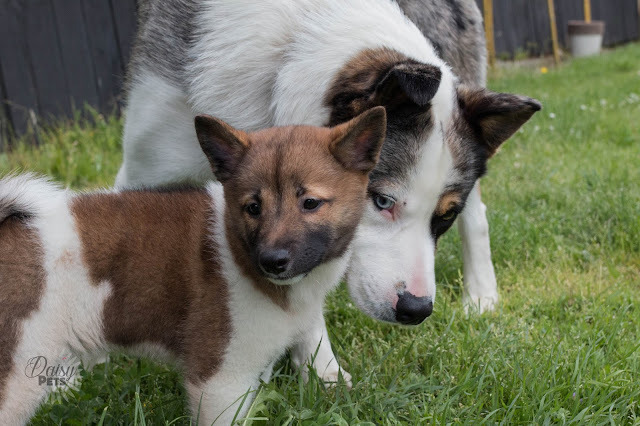 When my friend Scott got Frankie, a gorgeous pinto Shiba Inu girl, I was there within days to welcome her to the club. Scott also owns Mowgli, who can be seen on my blog as a puppy, as well as exploring a local fenced dog park. She is such a darling wee girl, and is already showing her character as she stands up to the bigger dogs. Here are a few shots I got over a few days, but you will definitely be seeing more of her in the future as Diego and her got on! What a strange, eventful year. I feel like 2016 was the year that everyone complained about, and was happy to see the back of. I didn't have the best year, but it certainly wasn't the worst year of my life. As of the 31st of December 2015, I broke up with my long term boyfriend that I lived with, and on top of that my mother moved to Whanganui, a three hour drive from Wellington. So heading into 2016, I was under completely new circumstances. Thankfully both my older siblings were in New Zealand at that stage so we packed up the car and travelled a bit around the North Island. I got to make some amazing memories up in Rotorua where my dad lives, and then spent several weeks exploring Whanganui with mum. I can't believe another year has been and gone already. I know everyone has been saying this, but this year has literally whizzed by, I felt like I didn't get to settle into 2016 as much as I thought I would. A lot has changed throughout 2016 for me, which will all be shared in a 2016 recap post, but for now I will be doing the annual Pet Blogger Challenge. I have done this for the past two years, and it is a great way to recap on how the blog has gone over the last year, and get some fresh inspiration from other bloggers for the New Year. If you want, go have a read of my 2016, and 2015 challenges as well to see how DaisyPets has grown.